Great work takes time. Specialization takes years. But on both the agency and client side, we’re seeing a trend in our industry that’s more than a little disconcerting. According to London based Institute of Practitioners of Advertising – automation and the “always on mentality” have created a rapid fire approach to the agency business – where thoughtfulness and intuitive understanding of a consumer need is now a gif. We’re also seeing client organizations accelerate their capabilities to jump from manufacturing and sales to creating infrastructures for ad execution, social content and media buying. Content is what was PR – now sourced from everyone under their roof or worse – from tactical crowd sourced vendors. The do-it-all ship has sailed. Instant gratification now includes executing services that used to be the domain of specialists. It was just two years ago when Pepsi executive Brian Jakeman challenged the agency world and said that ad agencies have not kept pace with change. Shortly afterwards, Pepsi created their own in-house studio to create content and hired a staff. Then they made one of the biggest mistakes in marketing history. 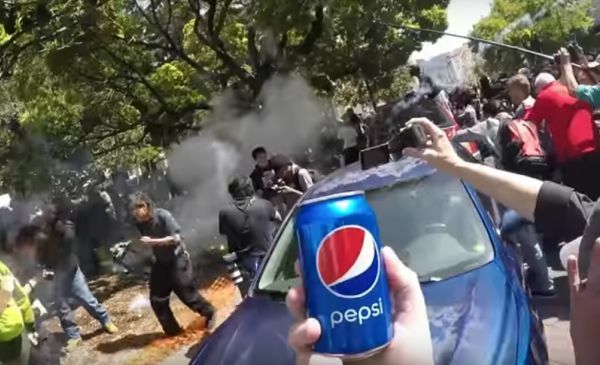 In Portland, Oregon a few weeks after the ad was pulled, rioters were throwing Pepsi cans at Police. Google that. Should Clients Create Their Own Content? The way I heard it best described was by Russ Klein – former CMO and now head of the 4As. He said that agencies are subjected to a “creative tension” that pushes them to work that stands out. Certainly, someone on the agency side would have said, “That idea is basically, I’d love to teach the world to sing.” On the agency side, we are masters of shooting down ideas – because we can’t afford not to. Without tension, it’s too easy to skip over the part about developing a unique platform idea that makes it “sticky” through the line. And it’s as simple to execute me-too advertising tactics as it is to buy stocks on line. We all want this habit to stop – but it’s pretty much like saying to a baseball player who just struck out – “don’t do that.” Easier said than done. We see a tactic, and want one, too. Hint: if it worked yesterday, it probably won’t work tomorrow. We’ve arrived in the modern world of tactic vendors and crowd-sourced creative, where marketing is paint by numbers. Media and ad agencies are partially to blame. We’ve encouraged marketers to organize their budgeting process around tactics – and it sure felt right at the time. What can we do differently? The IPA report quoted one agency executive saying, “We just need to figure out what question the client should be asking.” Most of the time the agency/tactical buying sprees are moving so fast – that we are all caught up in the game. I saw Fernando Machado, the senior vice president for global brand management of Burger King speak not too long ago. He said that he issues an open-ended one sentence brief and shares it with his teams and his agencies once a year. He spends the year open to any ideas that answer it. By that definition, briefs should not prescribe tactics. Russ Klein says there are more good agencies than good clients. It’s hard to be a great client. Lots of pressure to inform and manage upwards – particularly with digital innovation changing perspectives daily. But if you can do it – you will have iconic status in our industry. The true agency infrastructure is set up to gestate strategic concepts. Whatever the mix of thinking, research, insights, creative tools – it’s the mission of the agency to differentiate and compete. Ours is to create and help brands incite believers. But in the end, it takes a bit of risk and originality from everyone to make it happen. We will absolutely go to the wall for clients who set those limits.